“I am a poor farmer from Chattisgarh. When Diapanshu screams and cries asking if his stomach will burst, I cannot even look him in the eye and tell him it’s alright. This is because I know that I can’t afford the expensive liver transplant he needs. 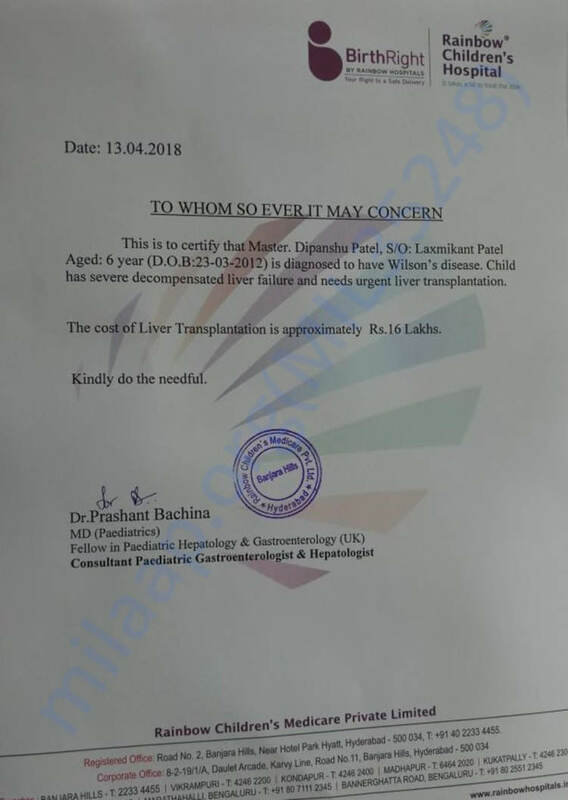 My child may die before I arrange the funds on my own,”-Lakshmikanth, Dipanshu’s father. 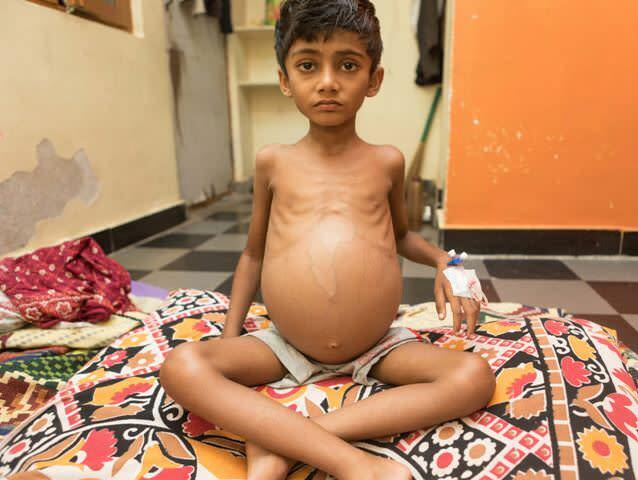 Fluid has filled up in Dipanshu's stomach because of liver failure, to the extent that veins are visible. It is not only uncomfortable, but also very difficult for the child to even walk to the washroom without support from his father or uncle. “His tummy does not even look like a tummy anymore. It is a painful sight to watch him struggling with it. He cannot pass bowels smoothly. He cries every time he has to make a trip to the toilet. He may have a heaviness that is bringing down his body, but I have heaviness in my heart. 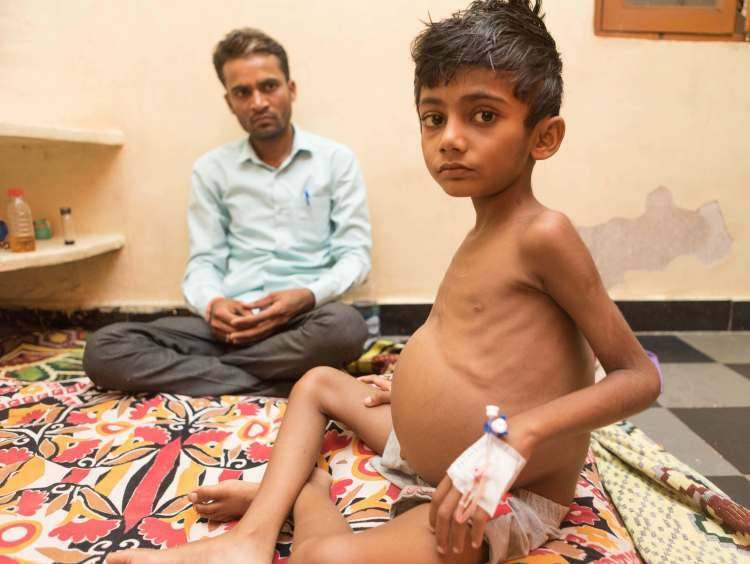 I don’t know how I will save my son because I don’t have a rupee on me,” says Lakshmikanth. There was not a day where he didn’t want to go to school because he loved meeting his friends. And now, he struggles to even breathe because of his enlarged abdomen. “I can’t believe how easily misfortunes can fall upon someone. Dipanshu was so healthy before this; he wouldn’t even get fevers regularly. Then one day he told his mother, “Ma, there is a piercing pain in my stomach. From that day onwards, his tummy has been swelling up. At first, it was only a little uncomfortable. 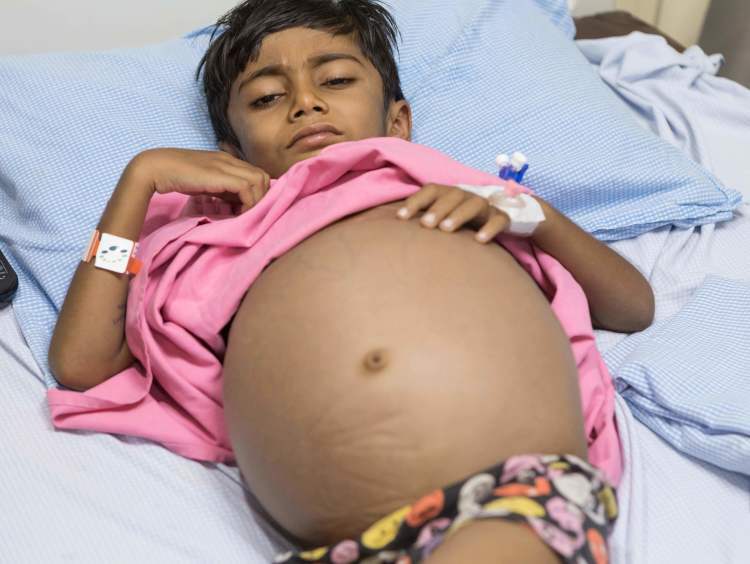 But today, the swelling has almost disabled him,” says Lakshmikanth with tears in his eyes. 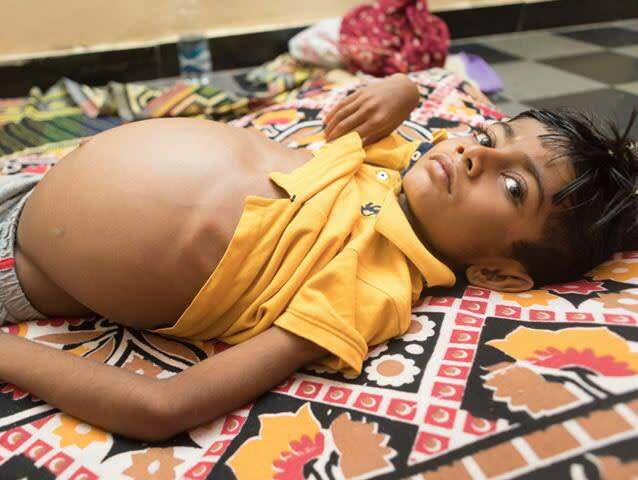 Dipanshu was being treated in his hometown in Chattisgarh for a while before his swelling got worse. The doctors advised him to undergo treatment in Hyderabad. Dipanshu’s father, Lakshmikanth did not wait another moment before taking the next train to Hyderabad. He took whatever money he had in his pocket and borrowed some from his relatives. 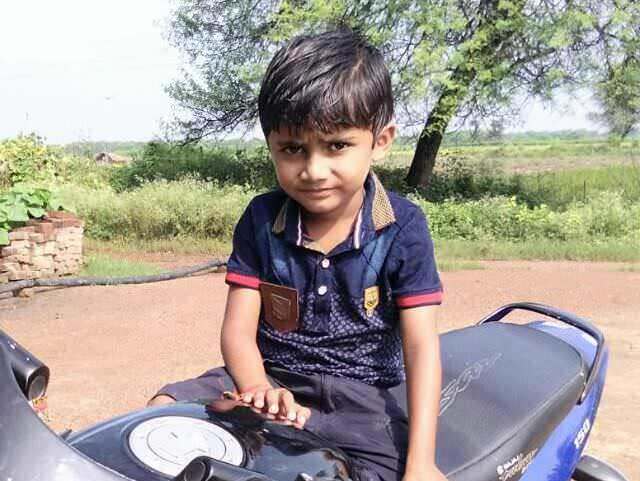 He did not get a seat but he held his son for the whole two-day journey to Hyderabad. 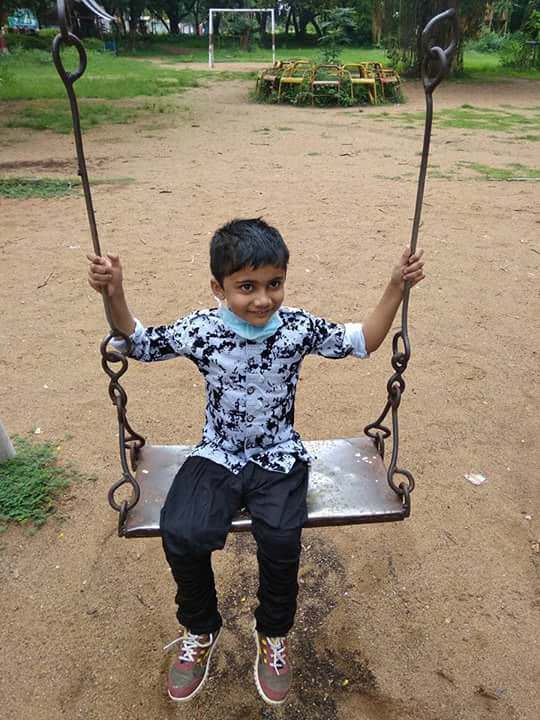 It was in Hyderabad that Lakshmikanth found out that his son has a very rare disease where copper gets accumulated in his vital organs. That’s what caused liver failure. 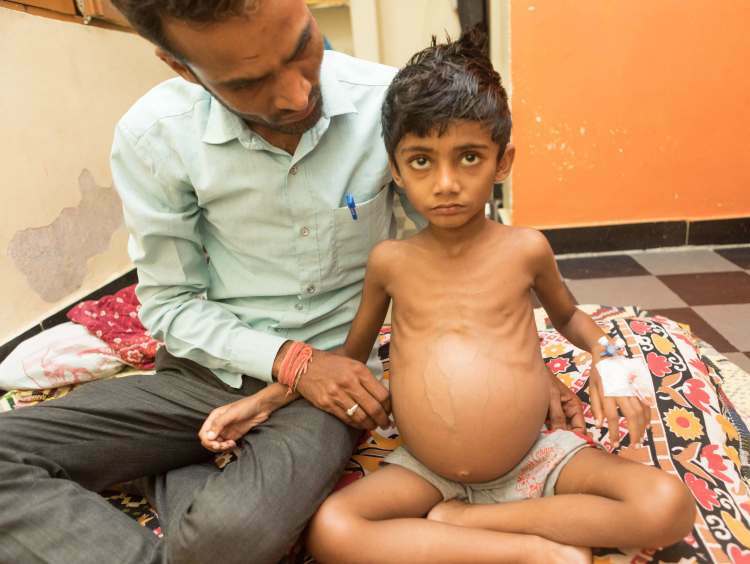 Now, this father has only a few days to make sure that his son gets a liver transplant. Lakshmikanth used to earn around Rs 5,000 per month before he went to Hyderabad to get his treated. He had to borrow heavily from friends and relatives to fund his medical expenses till now. 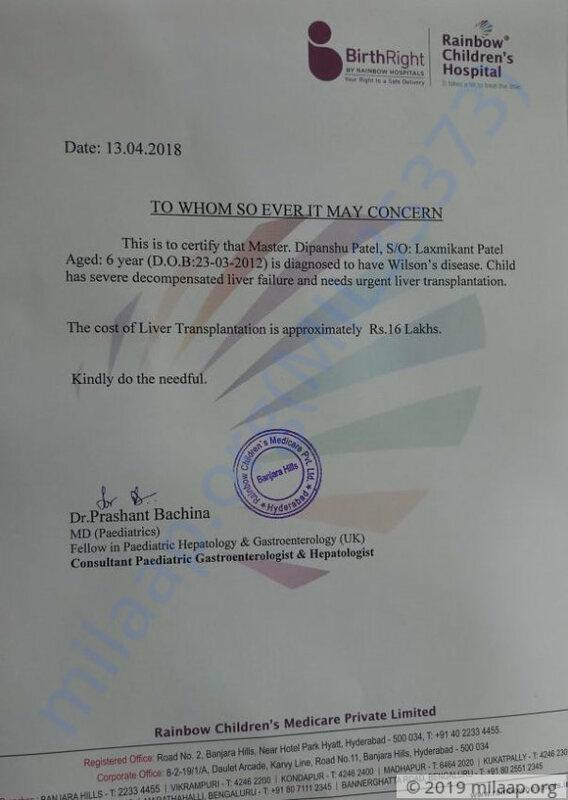 “I am ready to give my liver to Dipanshu as I am a match, but I have spent Rs 2.5 lakhs till now and don’t know how I will be able to make the 16 lakhs required for the liver transplant. It is the only way Dipanshu will survive, but financially everything looks very bad for us now. I will not be able to forgive myself. I have gone through so much pain for him alone. 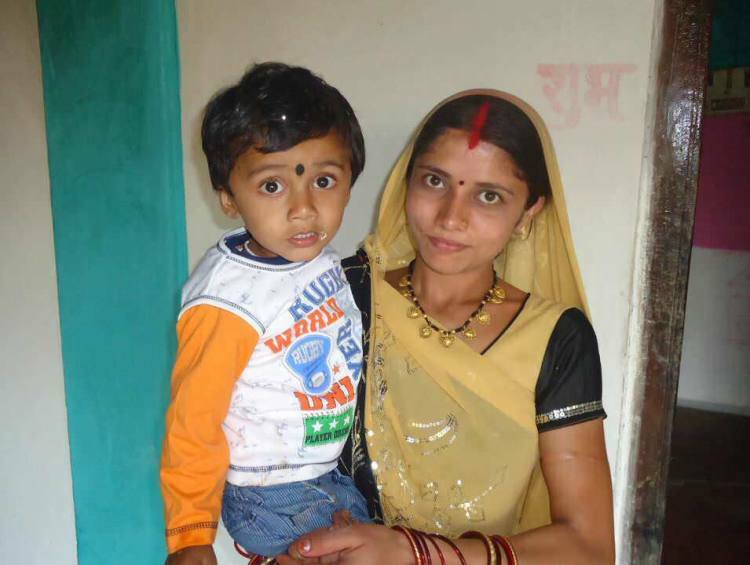 I promised his mother that I would go back to Chattisgarh with him all well and happy,” says Lakshmikanth. Thank you all for the wonderful support that you have shown towards my son, Dipanshu. He is hale and hearty, full of energy and enjoying his second chance at life. I am happy to inform you all that blood tests are being done once in two months and the results have remained normal. He is currently being given only two medicines and doctors say that even they will be slowly tapered. We are grateful for all the love and support and are ecstatic to see him being a child again. 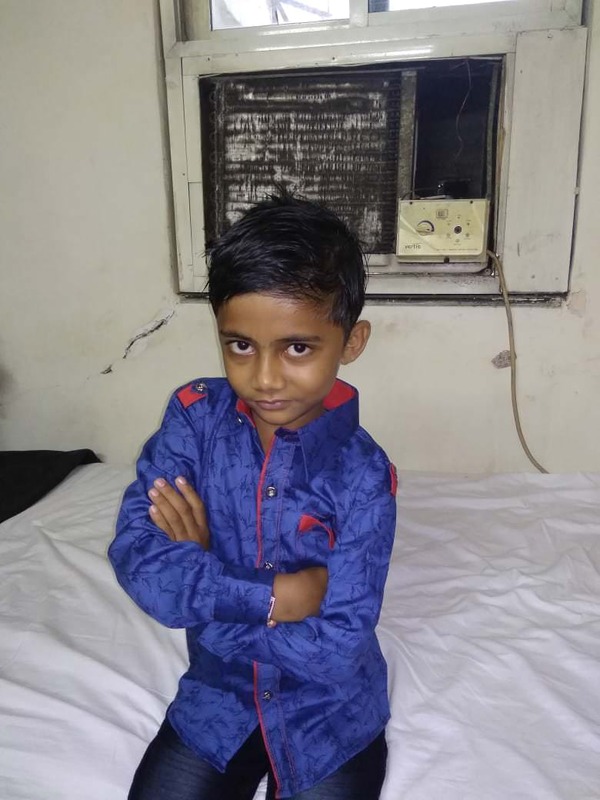 Dipanshu is at home now and is recovering well. There are no complications so far. He is regularly following-up with the doctor. 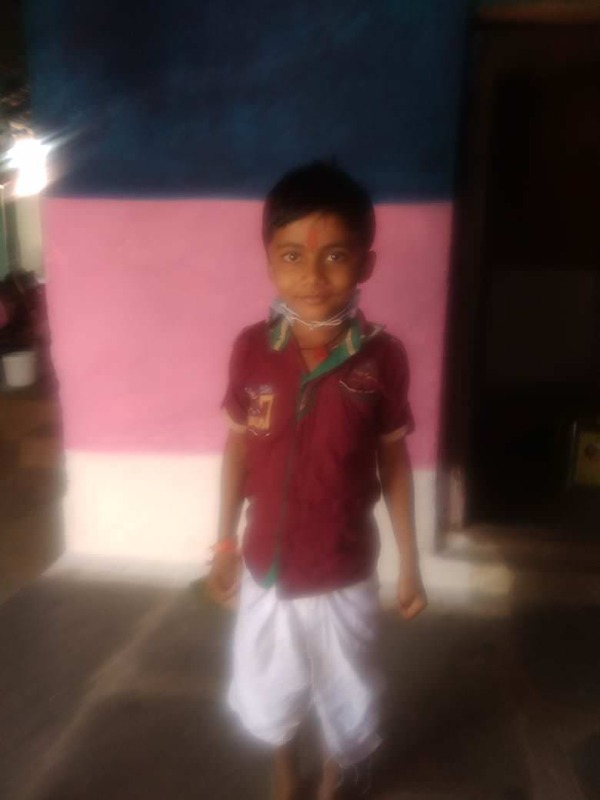 Here is a recent photo of Dipanshu. Thank you for the wonderful support that you have shown towards Dipanshu. He is doing better now compared to earlier and his health has improved a lot. The swelling is no longer visible and the excess water accumulation is negligible. Based on his health the doctors have discharged him today and have advised him regular follow-ups. Based on his health and the reports they will be suggesting the future course of action. I would like to thank all the donors and well-wishers for the wonderful love and support that you have shown towards my son. I just do not have enough words to thank you all for the amazing support that you have shown towards my family.